Contact Tavernier Car Accident Lawyers Gerson & Schwartz, P.A. Our Tavernier car accident lawyers at Gerson & Schwartz P.A. are here to represent you if you were injured in a crash in Tavernier, FL, or lost a loved one in a fatal collision. Once you contact us about your circumstances, we will investigate the crash. We will gather as much as evidence as possible to determine who was at fault for the collision and who is liable for compensating you for your injuries or loss. In many cases, the liable party may be the at-fault driver. However, the person liable for your injuries may not be the driver, particularly if the negligent driver was employed and working at the time or in another person’s car. Whatever your circumstances, we will determine all relevant insurance policies and begin the insurance claim process. We will handle all communications with the insurance adjuster, and we will ensure that insurer receives all necessary proof of the policyholder’s liability and your injuries. If your insurance claim is approved, then we will strive to negotiate a full and fair settlement as quickly as possible. If there is no insurance coverage, the insurer denies your claim, or settlement negotiations break down, then we may recommend filing a personal injury or wrongful death claim in Monroe County. We are not afraid to fight for your right to compensation in court. To learn more about how our car accident lawyers in Tavernier can help you, contact Gerson & Schwartz P.A. online or by calling (877) 475-2905. Tavernier is a census-designated place and an unincorporated community on Key Largo—the largest island in the Florida Keys. The area has a population of more than 2,000 people. It is known for being a great vacation spot. People come from all around the U.S. and world to scuba dive, snorkel, paddleboard, kayak, sail, and enjoy water sports off Tavernier’s shores. To get to Tavernier, or to travel between the community and mainland Florida, everyone has to drive on U.S. Highway 1, which is better known as the Overseas Highway. Because this is the main thoroughfare through Key Largo and Tavernier, the highway sees a great deal of traffic. When tourism swells the population of the island for a few months each year, traffic congestion worsens, as does the risk of a crash. If you were in a crash in Tavernier, whether you live in the Florida Keys or were visiting, you should contact our Tavernier car accident attorneys as soon as possible. We will help you pursue fair compensation for your physical, psychological, and financial injuries. If you come to us after a car accident, one of the first things we will do is investigate the crash. We will obtain a copy of the police report, gather any available photos or videos of the crash or aftermath, obtain eye witness reports, and obtain physical evidence, if available. If you were involved in a complex or multi-vehicle crash, we may hire an accident reconstruction expert to analyze the crash and determine who was at fault. We will use all of this identify who was at fault and to determine if they or another party or liable. This will point us toward one or more relevant insurance policies that we can file claims against. After you have been hurt or lost a loved one in a car crash, you should contact our Tavernier car accident lawyers as soon as possible. You should not have to handle the insurance claim process all yourself. You need to focus on your physical and emotional recovery—not deal with an insurance adjuster’s questions and request for documents. Instead of worrying about the insurance claim process and figuring out how to handle it, we recommend hiring an experienced personal injury lawyer to represent you. We will ensure the insurer receives all of the documents necessary to prove the other driver’s negligence. We also will make sure the company receives the medical documents necessary to prove the type and extent of your injuries, while ensuring the company does not invade your privacy and dig through your entire medical record. 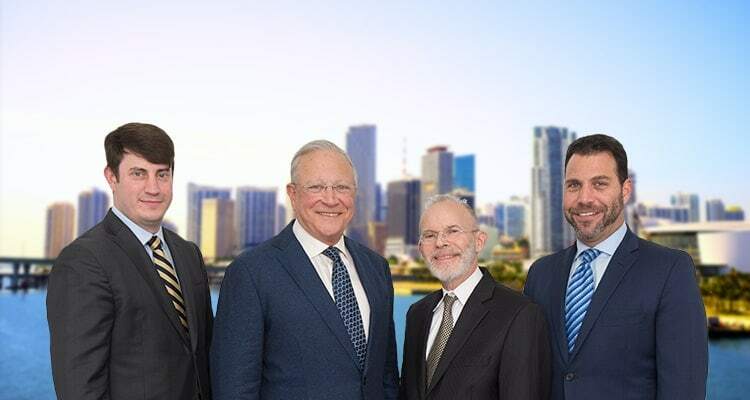 Following a serious or fatal car accident in Tavernier, Florida, contact Gerson & Schwartz P.A. through our online form or by calling (305) 371-6000.